Back in the early 1990s a rather determined young lady came to see me in my room at Sydney University and asked me to read an essay which she had written. Her object was to see whether I thought her eligible to enrol as a PhD student in history. It did not take long to see that she was fully equipped for this task, both in terms of the quality of her work and her obvious commitment and excitement. She turned out to be an ideal student and it was no surprise when her examiners agreed that she should be awarded the degree. The person who has thus far remained anonymous was, as you may have guessed, Derelie Cherry, whose book we are celebrating today. Her choice of subject, for which she alone was responsible, was Alexander Macleay, one of that interesting group of men who did so much to advance the interests of early New South Wales. I don't remember asking Derelie why she had chosen this particular topic, but it was an inspired choice. For reasons that again I do not fully understand Macleay had never been the subject of a full-length biography, although a number of historians had written about various aspects of his career. It is difficult to understand why he was overlooked, although I should perhaps say that other early colonists have suffered a similar fate. William Charles Wentworth, for example, has only recently been the subject of a biography by the distinguished barrister and former liberal politician, Andrew Tink. Whatever the explanation for the omission of Macleay, the lack of a biography has opened the way for Derelie to produce a truly original piece of work and for this we should all be grateful. As I mentioned earlier, this biography began as a PhD and that can create problems when it comes to publication. Doctoral theses are written for examination by the author's peers with a view to determining whether he or she has the ability to reach the highest levels of historical scholarship. Inevitably this forces the author to ensure that no stone is left untouched in research and that every angle is covered in writing. Anything that savours of colour, or frivolity, is pushed to one side and narrative gives way before deep analysis. This is as it should be but it is not an approach calculated to excite the general public. 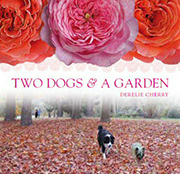 Derelie herself worked for publishers when I knew her and she was well aware of the pitfalls of submitting for publication a piece of writing that started as a PhD. Editorial heads shake and eyes roll, or glaze over, and the inevitable rejection slip is sent to the author. One of Derelie's major achievements has been to turn a thesis into a book without at the same time undermining its scholarship. She has done this astutely and in a colourful way by following a narrative approach which carries the reader along with her. In the process Derelie has brought out very fully Macleay's role in numerous aspects of New South Wales history between 1826 when he arrived and 1848, the year of revolutions in Europe, when he died. He was, by any standards a remarkable man who formed part of the Scottish diaspora which took talented Scots to the far ends of the globe in the nineteenth century. Whereas the Irish were generally depicted as the underdogs the Scots quickly leapt to the top of the pile. Macleay was no exception. Member of a Scottish landholding family and well-connected, he worked in the English Civil Service before coming to New South Wales to take up the demanding position of Colonial Secretary. This placed him at the head of the Public Service with a large body of officials under his command. His predecessor Frederick Goulburn had fallen out with Governor Brisbane, but Macleay was on close terms with Brisbane's replacement, Ralph Darling. The two men established a close relationship and, together with Darling's private Secretary, Henry Dumaresq, formed a triumvirate which acted as an inner cabinet. Macleay was thus in a position to influence the course of events in New South Wales during the crucial period in which Darling reigned between 1829 and 1831. He was a very efficient, assiduous administrator, often working for twelve hours a day. Darling was himself a skilled administrator and appreciated what Macleay was doing although he complained of his untidy hand writing which formed a contrast to the Governor's neat hand. The two men were conservative in outlook and while this brought them closer together it also meant that Macleay shared in Darling's unpopularity among colonists of liberal inclination. Derelie does justice to all this and succeeds in bringing out Macleay's contribution to the public service and to political life in general. She shows us how his career was brought unfairly to a close by the liberal minded Governor Richard Bourke after 1831. His political career, however, was resurrected after representative government was introduced in 1842. He was elected to the Legislative Council and became its first Speaker. Macleay, then, stands out in the pages of history as a talented administrator and a bastion of conservatism. Yet this was by no means the only source of his importance. Like most of his associates he became a leading landowner, modelling his life on that of the English gentry. As a landholder he made his mark in the burgeoning pastoral industry which was to help transform New South Wales, turning it into a colony rather than a mere penal settlement. In the process Macleay harmed himself because he did not handle his financial affairs particularly well and incurred heavy debts. Here is something else that features in this biography. Given that Macleay was in part a produce of the Scottish Enlightenment it was scarcely surprising that he should have well-developed intellectual and scientific interests. While in England he was elected a Fellow of the Linnean Society and the Royal Society. His interests brought him into contact with the colony's intelligentsia among whom he stood out. He built up one of the finest collections of insects in the world, was deeply interested in horticulture, served as President of the Australian Museum, vice-patron of what became the Royal Agricultural Society of New South Wales and contributed to the work of the Subscription Library. His interest, as Derelie shows, knew no bounds and exceeded those of most of his fellow colonists. Biographers need to develop an understanding of the person they are writing about as well as an appreciation of their work. This calls for the capacity to penetrate inside the person being considered, and this is no easy matter given that the evidence is often scanty. The task calls for understanding and sympathy, but also for detachment, qualities which Derelie displays in abundance. Macleay was a complex figure who certainly did not appeal to everyone. One leading settler described him as 'an extraordinary looking but agreeable old man'. A Judge commented on his 'vulgar Scotch dialect' and his ungentlemanly appearance. Others believed he was unsuited to the position he occupied. Derelie faces up to these criticisms and succeeds in presenting a balanced picture of the man and a fascinating account of his family life. She carefully examines his relationship with his wife Elizabeth who also rightly features in the book. This then is a sensitive portrayal of the man and his contribution to colonial life. It is a work of history, social as well as political, that displays close familiarity with the period with which it deals. As a biography it helps us to understand a colonist who should have been brought back to life long ago. In addition to all this the book is a work of art. I know of no other work of this kind which is so beautifully produced. It contains colour reproductions of historical paintings that are selected with great care and in such a way as to shed further light on Macleay and his times. Macleay would surely have appreciated this. Despite what was said about him he was a man of taste and nothing illustrates this more than the magnificent Elizabeth Bay House where we now stand. This book like the building will surely be of enduring value. My mind goes back to the day when I first met Derelie. Life plays strange ticks and I could not on that occasion have imagined that some two decades later we would all be enjoying this wonderful occasion. A question lurks in my mind. What if I had made a mistake and advised Derelie not to proceed? Had that been so we would all have been the poorer and we would not have had this splendid book which fills so large a gap in early Australian history. Thank heavens I got it right.